Xploding Plastix is consisting of Hallvard Wennersberg Hagen and Jens Petter Nilsen. Their debut was the 7" 'Treat Me Mean, I Need The Reputation' in 2000 which was an instant underground hit. It was followed by the debut album 'Amateur Girlfriends Go Proskirt Agents' in 2001, an album which quickly became a classic, and is still one of the all-time bestselling Norwegian underground electronica albums. A revisited version was later released in the UK by Palm Beats in 2004. 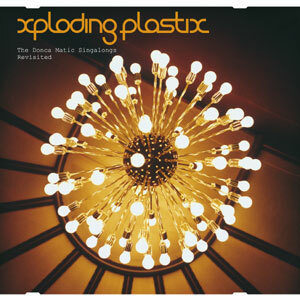 After the debut, Xploding Plastix left Beatservice Records for the Norwegian branch of the major company Sony, and in 2003 they released their second album 'The Donca Matic Singalongs'. Both this album and the debut where nominated to the Spellemann award (Norwegian Grammy) as well as the Alarm award (an alternative Norwegian award). The second album was only released in Norway, and has been a sought after album for abroad fans. After the return of Xploding Plastix to Beatservice with their third album 'Treated Timber Resist Rot', their 'missing' second album is now finally released worldwide. The version on Beatservice is a revisited version, consisting of tracks from the original album, The Benevolent Volume Lurking EP, plus a bonus track previously only available on a Norwegian compilation.